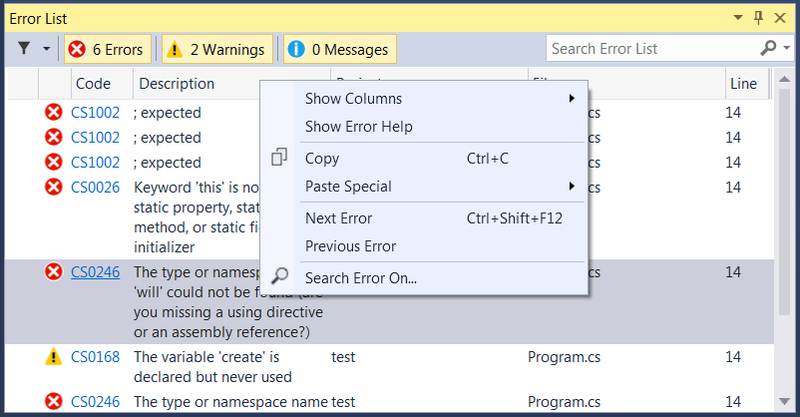 This plugin for visual studio has been created to be able to find the errors generated during compilation time on your favourite web browser. Select one or more errors in your Error List Window. Right click and hit ‘Search Error On’. 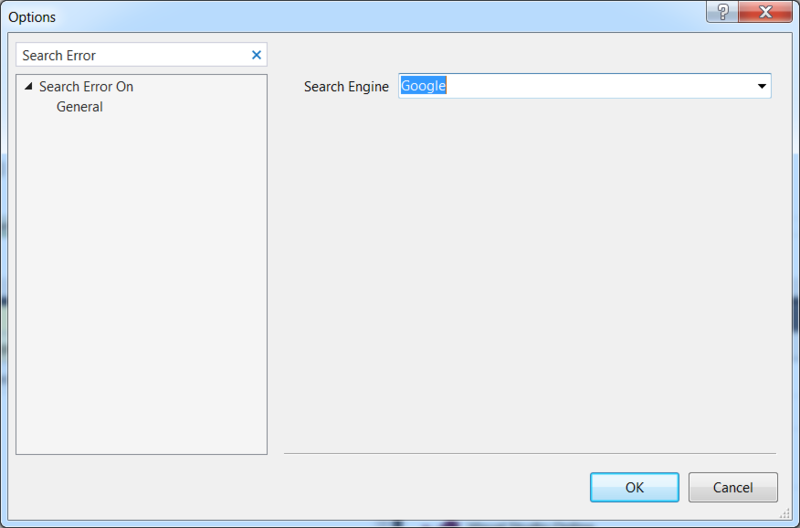 Under ‘Tools -> Options-> Search Error On’ you will be able to select one of your favourite search engines. Having trouble with ‘Search Error On…’? Any idea of how to improve it? Review our documentation or add issue/recomendation and we’ll sort it out.